New! 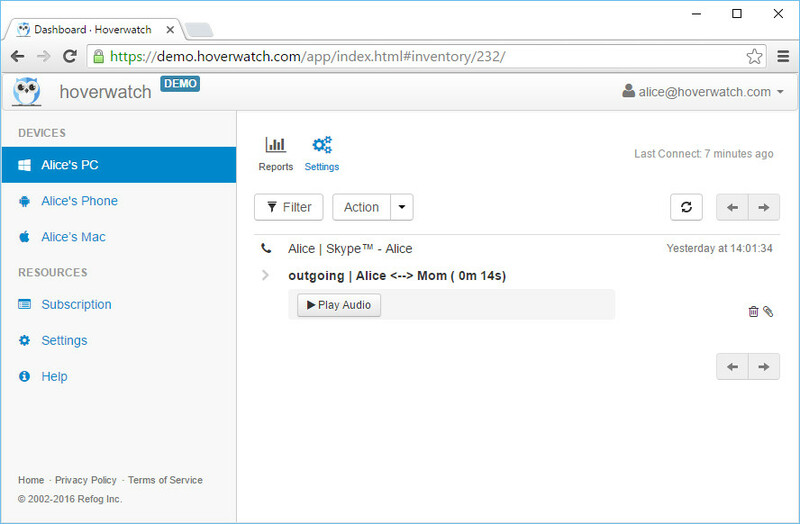 Hoverwatch now supports recording Skype calls! This function is certainly the most efficient way to record Skype messages and view them from your device. It is an additional function, and its aim is to make a report in the user panel more convenient for reading. 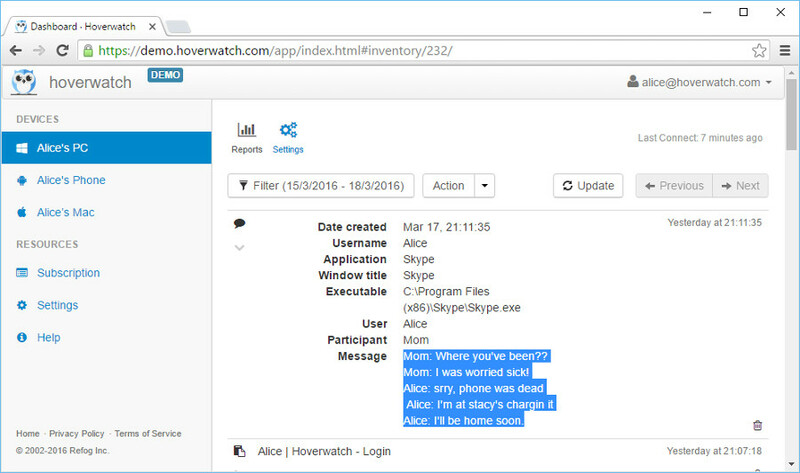 All the Skype conversations of the monitored device user are available online and can be viewed from any device with Internet connection. Skype messages interception is turned on by default, so there is no need to change any additional settings. Recording of Skype voice calls is turned off by default. To enable this feature log into your user panel, choose the device and check "Skype Call Recording" option on the Settings tab. Skype is free and extremely convenient software for communications used by millions of people all over the globe. There are a lot of users who prefer having conversations in Skype over social media websites and standard text messages, which makes this Skype recorder function very useful when you want to know all the details of user’s activity. This software function helps save all the messages sent and received by the user and view them in a form of a dialogue, so you have everything you need in one place.